Bear Creek Watershed is comprised of approximately 32,100 acres that includes three sub-basins: Bear Creek at 14,300 acres, Cottage Lake Creek at 8,000 acres, and Evans Creek at 9,800 acres. Bear Creek is approximately 12.4 miles long and Cottage Lake Creek is approximately 6.7 miles long where it joins Bear Creek. Evans Creek runs approximately 8.2 miles before joining Bear Creek. Bear Creek drains into the Sammamish River which flows into Lake Washington and on to Puget Sound. Headwaters are the origination and collection areas for creeks and rivers. In the Bear Creek Watershed, the major creeks historically originated in wetland forested landscape. These wetland areas slowed the natural runoff and absorbed large amounts of moisture. Some water was slowly released into the surface drainage system and collected in small part time creeks, feeding the larger full time creeks, streams, and rivers. Along the way in any lowland areas, bogs, ponds, and other wetlands slowed the collected water, providing unique plant and animal habitats. Some of the absorbed water stays in the ground, recharging underground aquifers. The headwater areas worked together as an efficient filtration system providing pristine clean water for the plant and animal populations downstream all the way to Puget Sound. 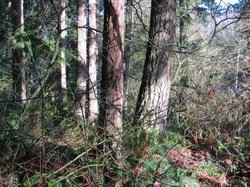 All of the original forest in the area was cut for timber over a hundred years ago. 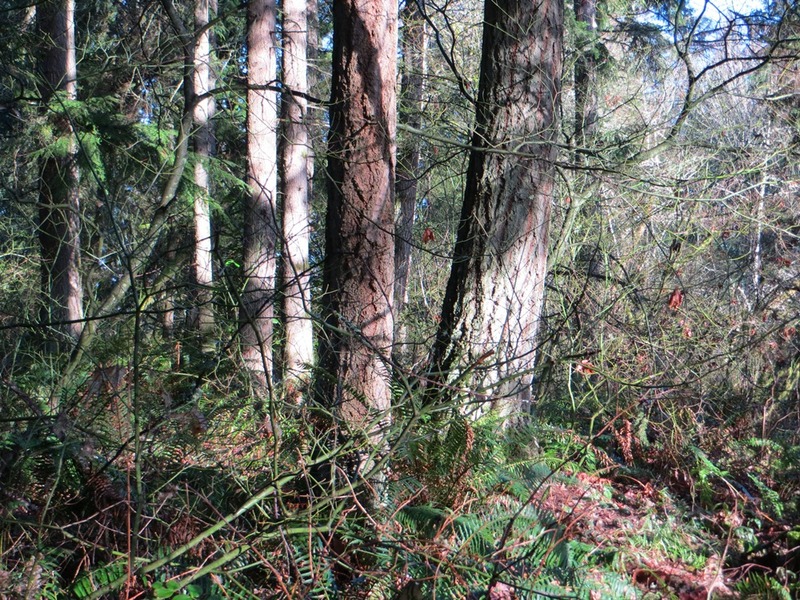 Mature second growth forest had re-established itself when, in the last 40 to 50 years, residential and industrial activity has transformed the area again. Large swaths of the wetland areas have been filled or degraded for use in residential home construction, resulting in a loss of biodiversity in the headwaters areas. The many impervious surfaces limit absorption of rainwater and also increase velocity of runoff into the drainage pathways. This results in cycles of fast flushing water through the creeks followed by dryer periods when water levels become too low to fully support the riparian habitats downstream. The loss of absorption also reduces the natural filtration effect, allowing pollutants to enter the creek/river system, further compromising the downstream habitat.